So, first I'd like to apologize for me not uploading a comic when I promised to. I quit halfway being it too trouble some. Instead, I will attempt to revive this forum by creating something more fun. Which is a comic that involves you. An Interactive Comic if you will. So, I will post the first part. Comment below for your suggestion what happens next. The post that at least two people posted (e.g. Someone quotes another person's suggestion and says 'This' or something) will be chosen for the next part of the story. Or, if theres only 1 post or everyone posts a different suggestion. I will select the one I like best and possibly others at the same time. Merging the suggestions. P.S: I will try to update everyday, if not twice a day. + Maybe i shouldn't have made them smile so scarily. yea.. the faces are scary..
the 2nd female looks more like male.. 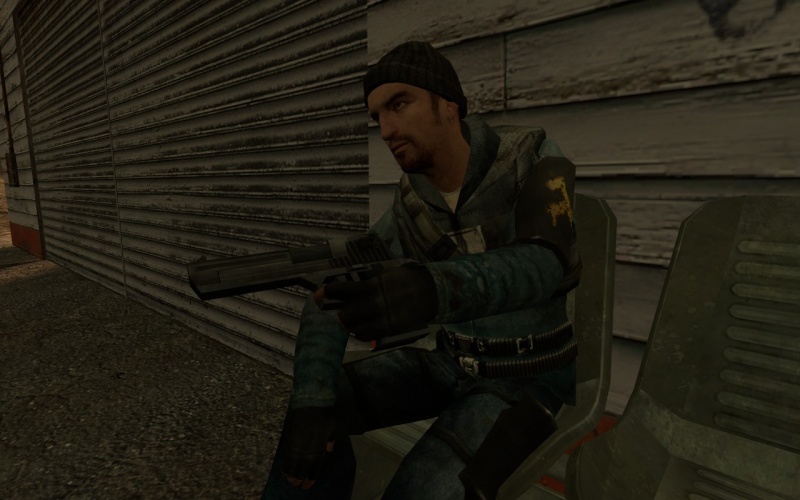 These are the default models of Half-Life 2. Lol. So I guess I'll just scrap this project then. Seeing as the models are too scary. Edit: On second thought. I'll repose them into better poses, so that they won't seem too scary. Well, too lazy to do the rest or edit the pictures. So basically, they are actually not scary, just me being random in faceposing them. this 2 good looking terrorist are fine.. very nice.. they seem happy of their "work"
They all seem nice, it's just my lousy faceposing skill that made them look creepy in the first lineup of pics. Btw, story won't progress until name and model is chosen. Throw a dice or something. Carl Johnson! from Grand theft auto. And no models voted. So I'll automatically choose Male03. How about Carl Johnson AKA JDay? Lulzors. I really want to get started on this. 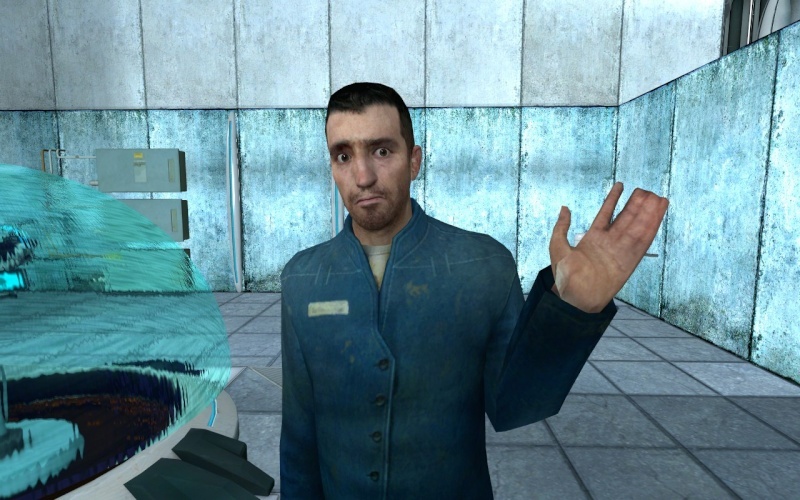 Or how bout Johnson Day. Johnson Day AKA JDay it is. EDIT: Sorry about the double post. Reposting it here. 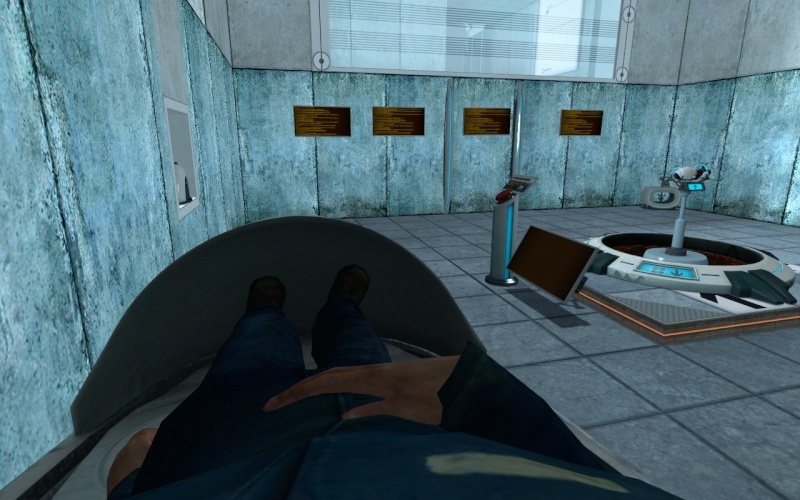 You are Johnson Day, you awoke to find out that you have been asleep in a facility associated with portals. what is this? First thing came to my mind is Half Life. 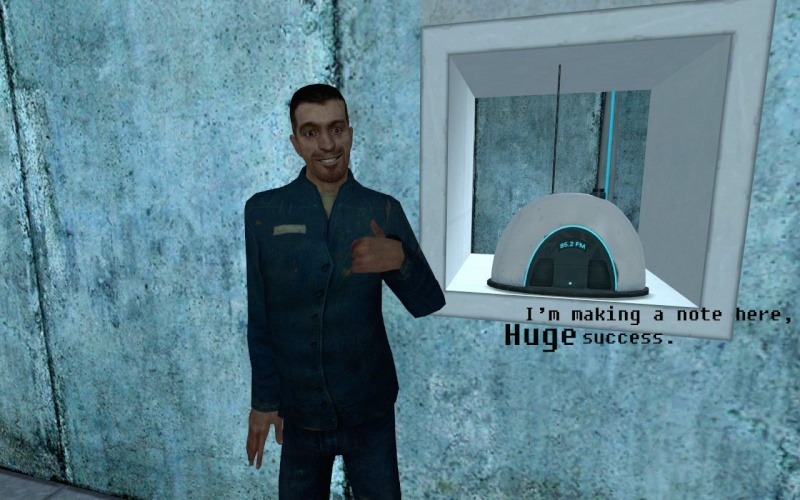 Garrys Mod, it's what I use to do all my stuff. Also, it runs on Half-Life 2. Well, used to. 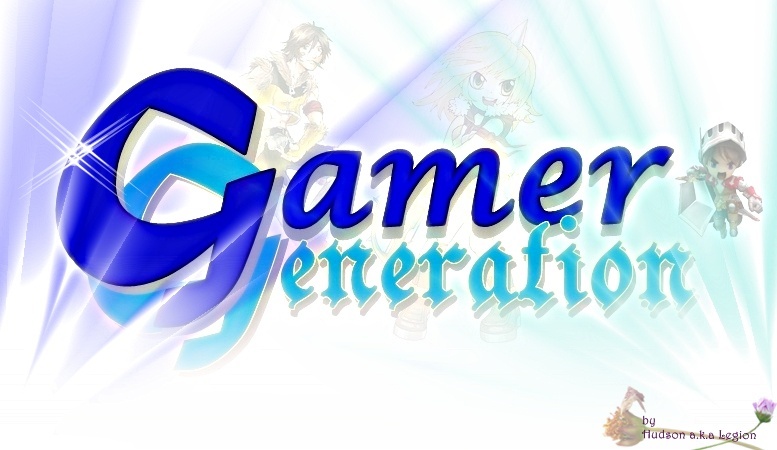 The newer versions allowed you to base it on Source games. 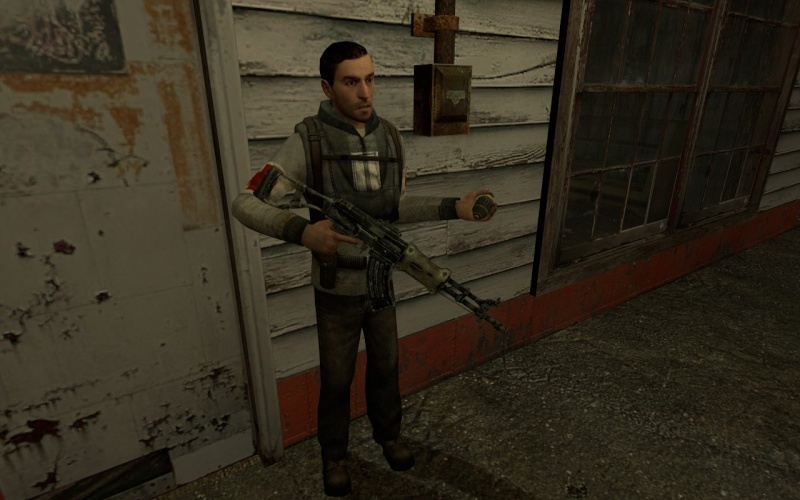 So yes, its literally a Half-Life 2 mod. It seems fun to play around with. Go play around the machine in the middle! Yeah, it is fun. This is the game that got me to transfer from World Edit. So, unto the next part of the story! Yeuyo wrote: Go play around the machine in the middle! 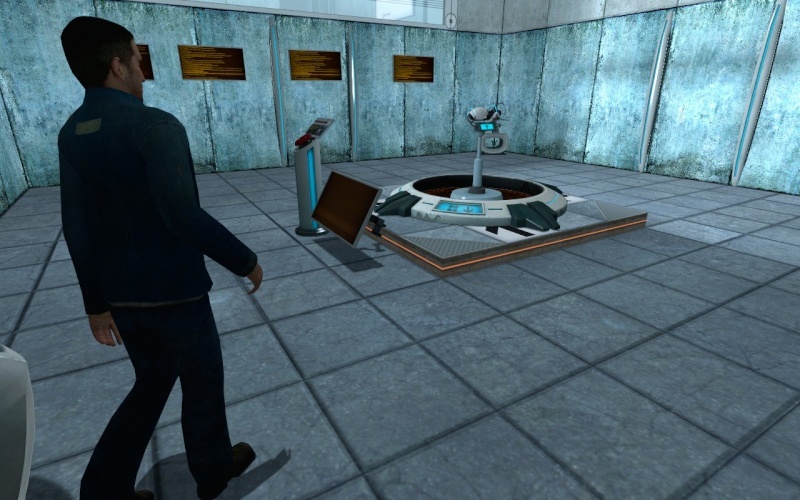 You suddenly have the urge to play with the Portal-associated machine in the middle of the room. 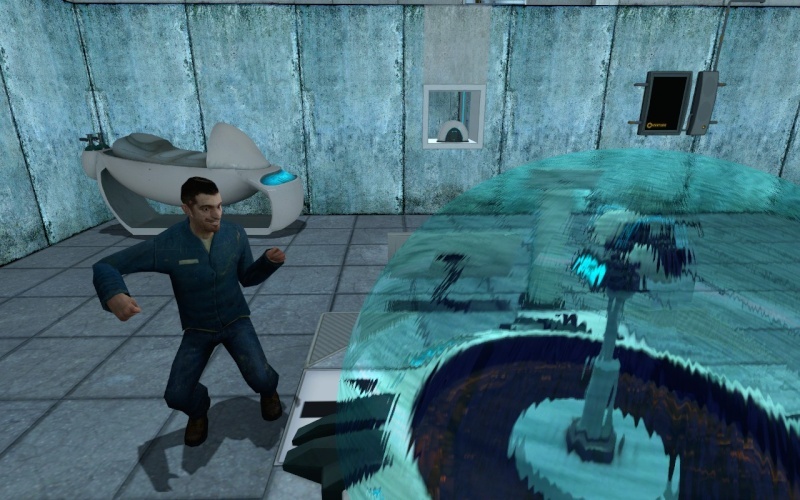 As you approach the Portal-associated machine, a force-field appears and blocked you from touching it. 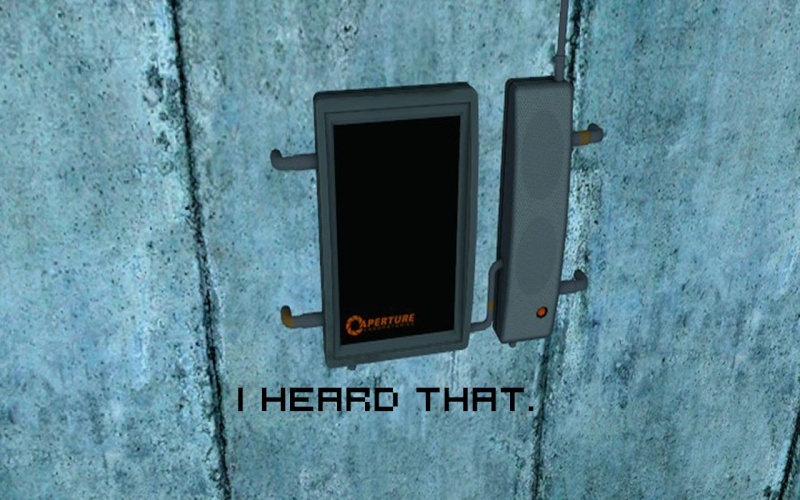 Just then, you heard a weird contraption on the wall the you're sure wasn't there before crackle into life. A feminine computerized voice was heard through the weird contraption that is apparently a communication device. 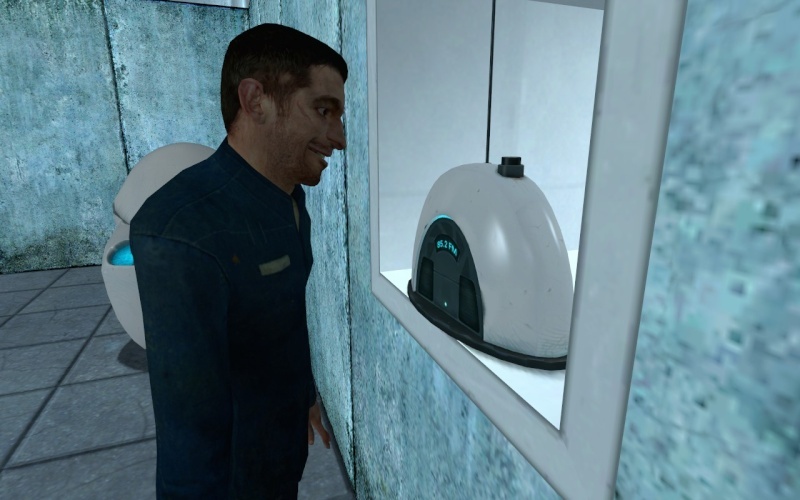 hmmm.. let's see, Ignore and touch the curious machine! Touch the weird thingy in front of the bed. Finally done with this part, 'cuz I used both of the suggestion. JDay wrote: Ignore and touch the curious machine. Yeuyo wrote: Touch the weird thingy in front of the bed. 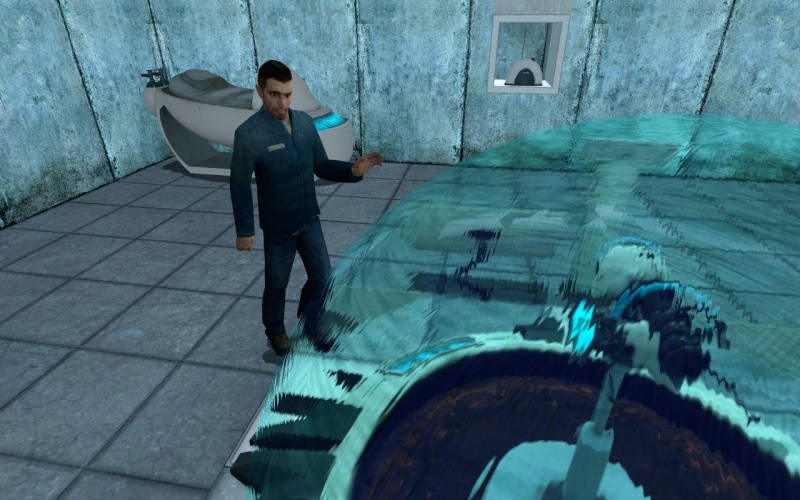 You decide not to heed the warnings and got ready to play with the Portal-associated machine. 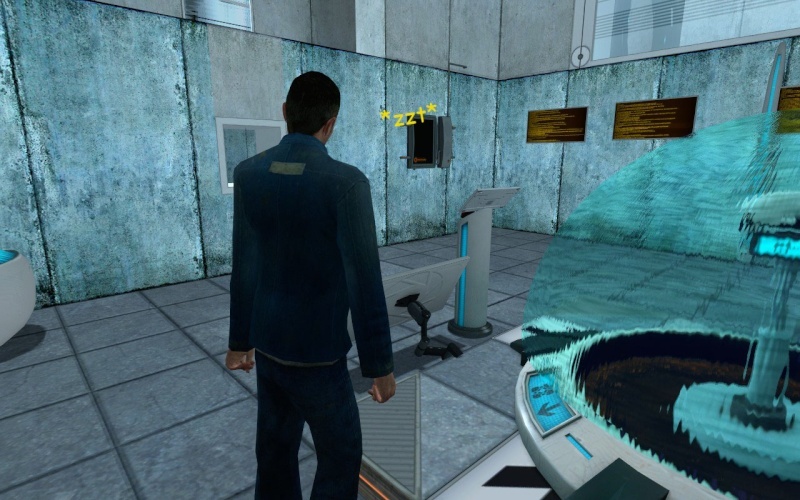 You found out that the force-field around the Portal-associated machine is solid. So you can't play with it. Oh, sadness. Instead, you decide to check out the weird thingy in front of the bed. 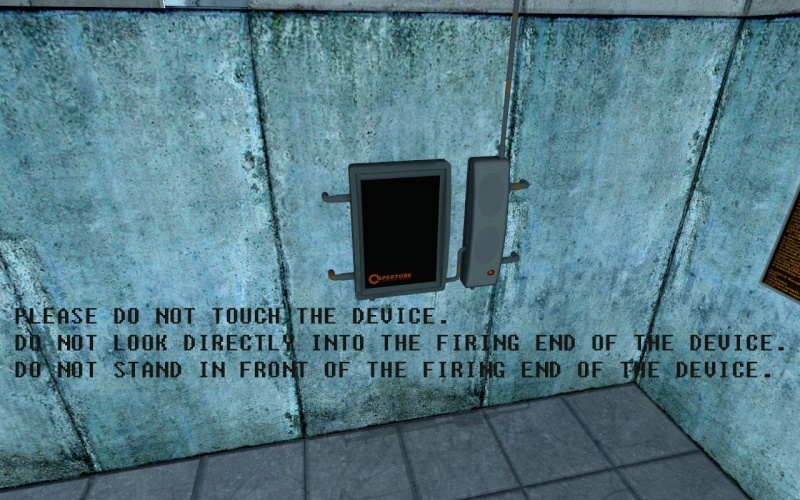 You press the button on top of the weird thingy that appears to be a Radio. A [You must be registered and logged in to see this link.] plays. You approve and was about to get jiggy with it when suddenly, the Communication-Device crackles back to life. Oh dear, better do what it says. You assumed the Data-Input Device is the thingie in front of the Portal-associated Device. 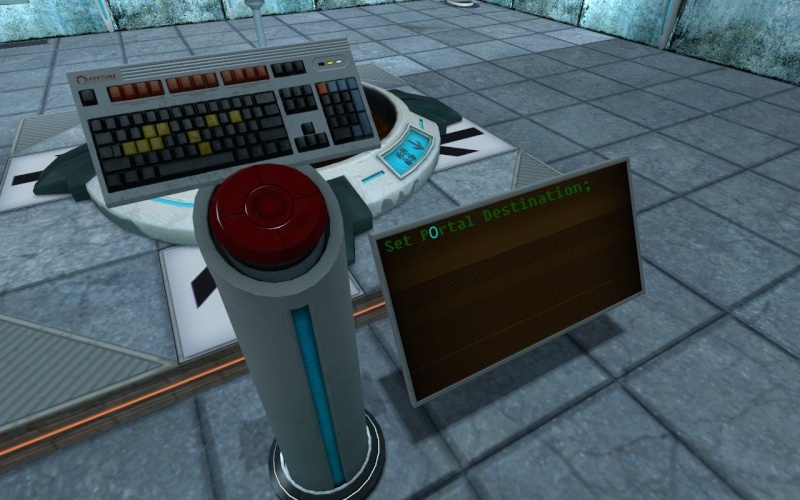 And from the screen, you deducted the keyboard is used to set a destination for Portal-associated Device. What destination do you want to go? man.. that guy looks funky.. and go to Malaysia! Throw them into the deep sea! 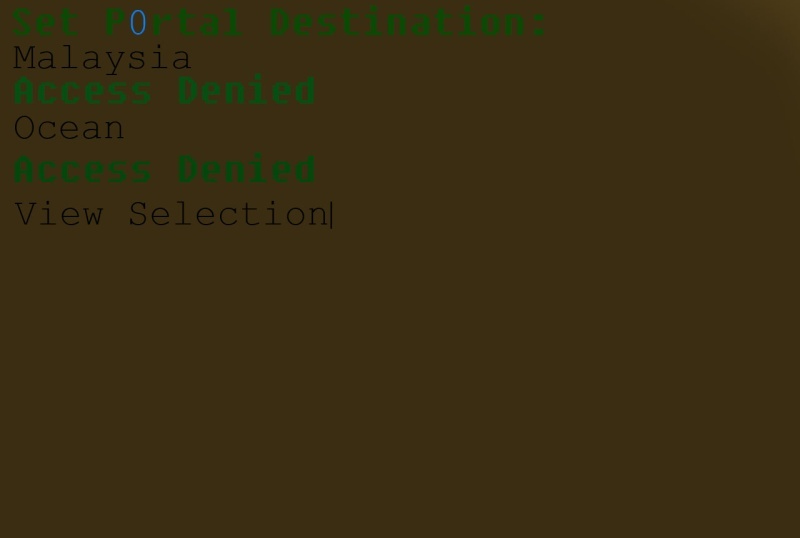 Darn it, I forgot to edit in the destinations. Ah well, might as well do another part to show you the available destinations. You type in your homeland, 'Malaysia' and pressed enter. Thinking that you rather go to the ocean to swim in, you type in 'Ocean' and pressed enter again. 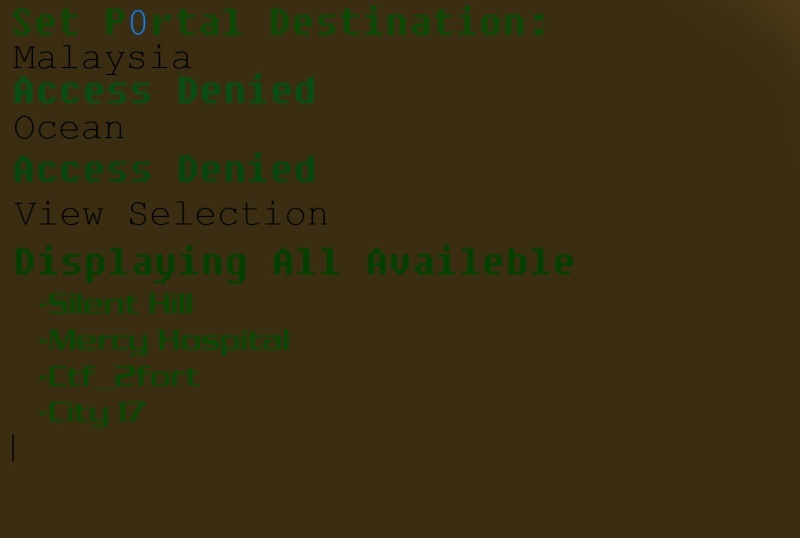 Access denied again?! What is this??! Great, now it tells us. 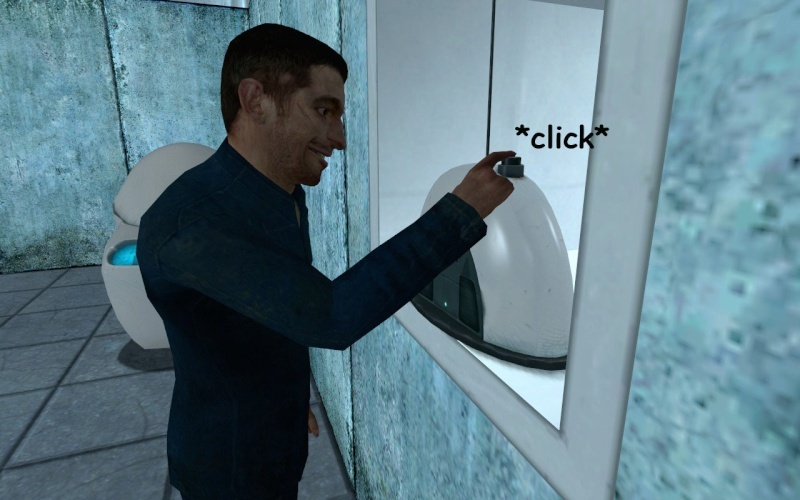 Dumb computer. Begrudgingly, you ask the computer about the selections. Not much of a choice, dang.